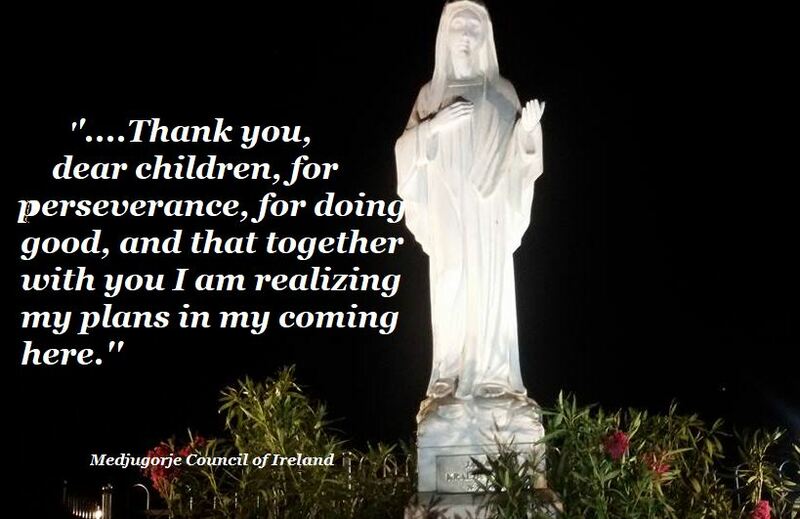 Last night, Friday 22nd June, Ivan and his prayer group met at the top of Apparition Hill in the pouring rain, for the encounter with Our Lady. Pilgrims gathered to receive Our Lady’s graces and blessings. They prepared by praying the Holy Rosary. Our Lady appeared at 10.00pm. Silence fell as all united in prayer with Our Lady while the apparition was occurring. Our Lady prayed over everyone present with her arms extended and especially the sick present, for a while. Then Our Lady gave the message to Ivan. “Dear children, also today I am calling you to peace. Set out together with Him. Be my apostles of peace. Do not grow tired in prayer. I am praying for all of you and I am interceding for all of you before my Son. After that Our Lady blessed all with Her Motherly Blessing and all our religious articles. 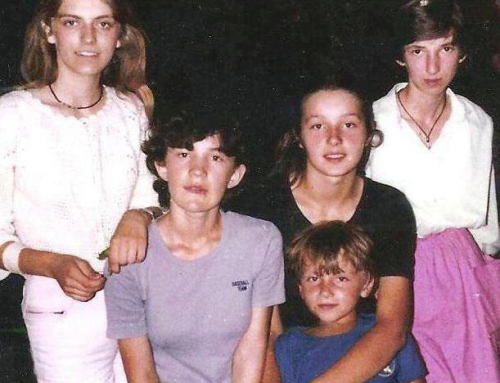 Ivan said that he recommended all of us, our needs and intentions, our families and all the sick present. 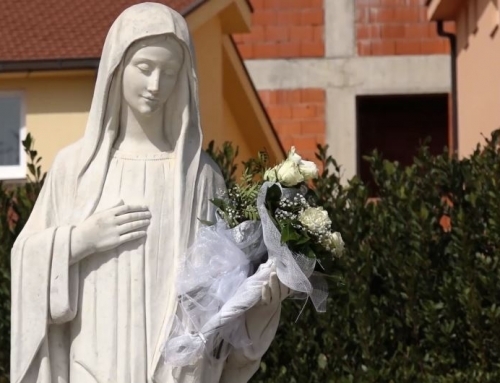 Message of Our Lady Queen of Peace, through the visionary Mirjana Dragicević-Soldo. 2nd July 2018. 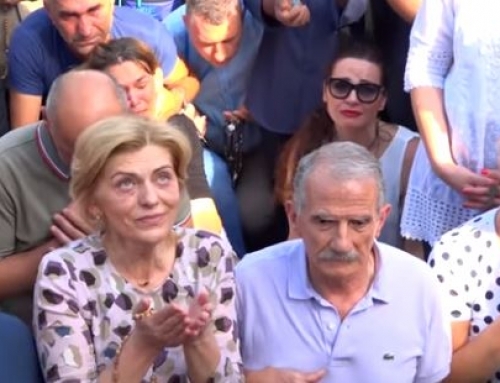 MEDJUGORJE VISIONARIES COAXED AWAY FROM APPARITION HILL ON THE 7th DAY OF THE APPARITIONS. 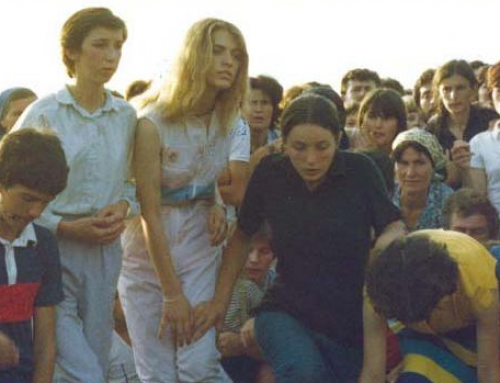 MEDJUGORJE, ON THIS DAY IN 1981..6th Day of the Apparitions. THERE WERE ALWAYS THE UNFAITHFUL, THE JUDAS. 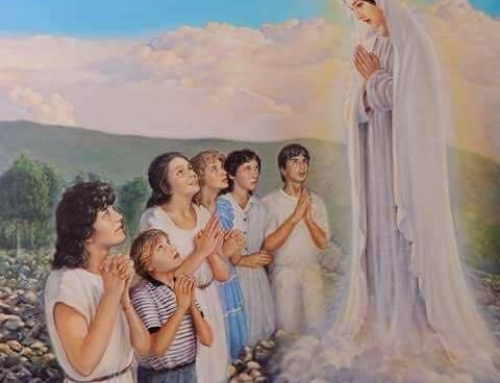 ON THIS DAY IN 1981 (5th Day of the Apparitions) “Blessed are those who have not seen and yet believe”. Homily by Fra. Marinko Šakota P.P on the eve of Our Lady’s Apparitions, 24th June 2018.